Pacproinc® personnel are specialists in direct food contact packaging material. Pacproinc®’s capabilities extend from equipment design and engineering to include the materials needed to meet our customers’ strictest requirements. We are your source for a wide range of materials—available in a multitude of finishes, coatings, and weights. We learn about your application, and because we build the equipment that automates these processes, we’re able to offer materials that maximize performance. We understand your material performance and food safety requirements better than anyone. 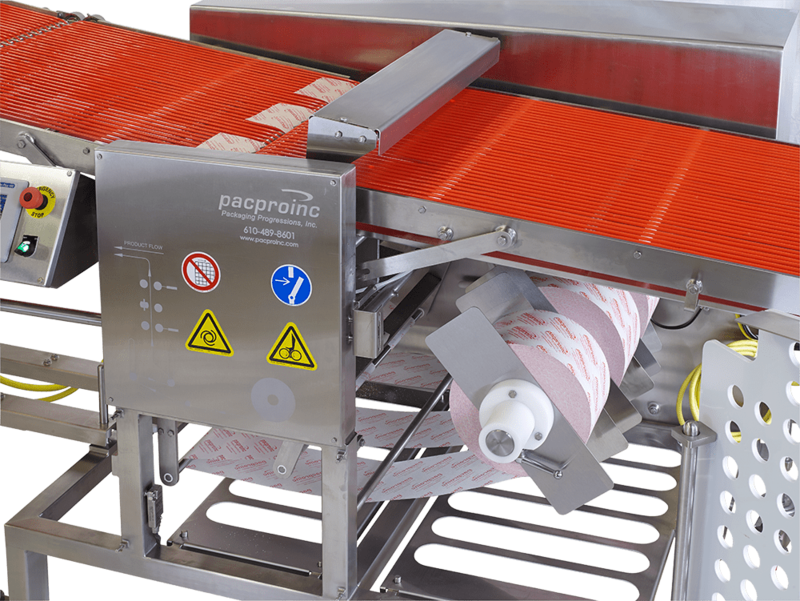 What’s more, Pacproinc® helps customers understand and control their portion costs through our monitoring of specific quality metrics; these include consistent length and weight, to ensure a constant number of feet per roll. Other suppliers sell paper by weight, meaning that even slight thickness variations can result in more/fewer feet per roll of the same weight. With Pacproinc®, your equipment runs at peak performance without requiring setup changes that can negatively impact production throughput. Our customers improve material yield and reduce the downtime that can result from poor materials quality/manufacture. Pacproinc®’s practice of cutting material from roll stock (as opposed to interleaving precut material) results in a cost savings of up to 25%. 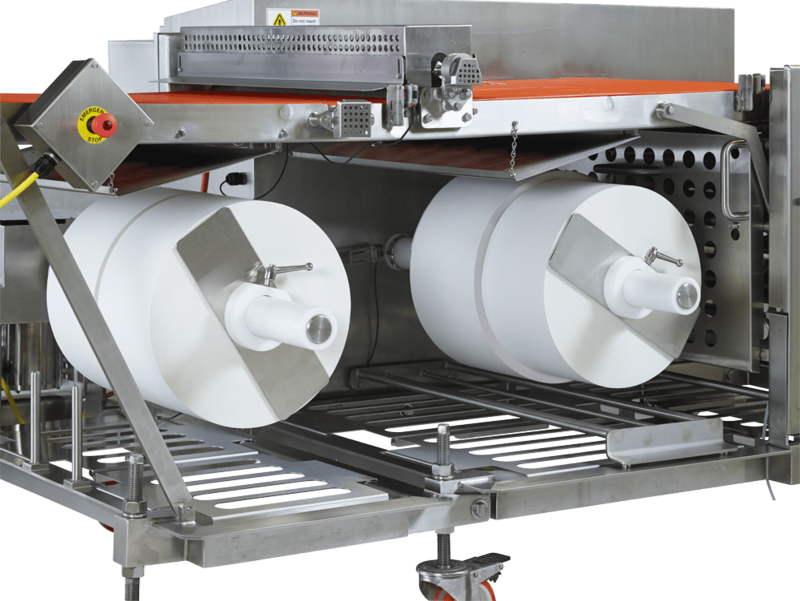 Also, cutting directly from the roll allows for much higher production when compared to pick-and-place or sheet-fed systems. Increase and maintain production line performance and efficiency. Reduce equipment downtime due to poor interleave material consistency and quality. Improve finished product quality and appearance. Maintain finished product food safety. Support your food safety packaging requirements and compliance. Paper and wax basis weight. Roll hardness, and linear feet/weight per roll. Our contingency plans include production redundancy to minimize the risk of emergency-related supply interruption. We can match most commercial-grade materials currently in use, including Quilon® Paper, Vegetable Parchment, Silicone Parchment, Wet Wax, Dry Wax, Poly Film, Poly Liners, and Poly Bags. We can supply the highest quality standard stock or custom material that meets your particular specifications. All Pacproinc® materials are FDA-certified and comply with Global Food Safety Initiative (GFSI) standards. Pacproinc® can trace an individual roll of paper with sufficient granularity to identify equipment operators during each phase of the production process. The result is guaranteed assurance in the quality and regulatory compliance for all interleaving papers. And our Product Data Sheets (PDSs) provides details on all material supplied, as well as product recall contact information. Where applicable, Pacproinc® interleaving material includes AIB, Kosher, and Pallet Certificates (verifiable third-party confirmation of food safety standards compliance), recommended storage forms (to maximize shelf life), and Certificates of Analysis (COAs) (proof that your interleaving material meets specifications). Direct food contact interleaving material produced for Pacproinc® are made in facilities that have been audited by 3rd party to ensure food safety.